The 3 Piece Oral Care Kit from Summer Infant has been specifically designed with the help of paediatricians in order to promote good dental hygiene and healthy teeth and gums for baby as they grow. 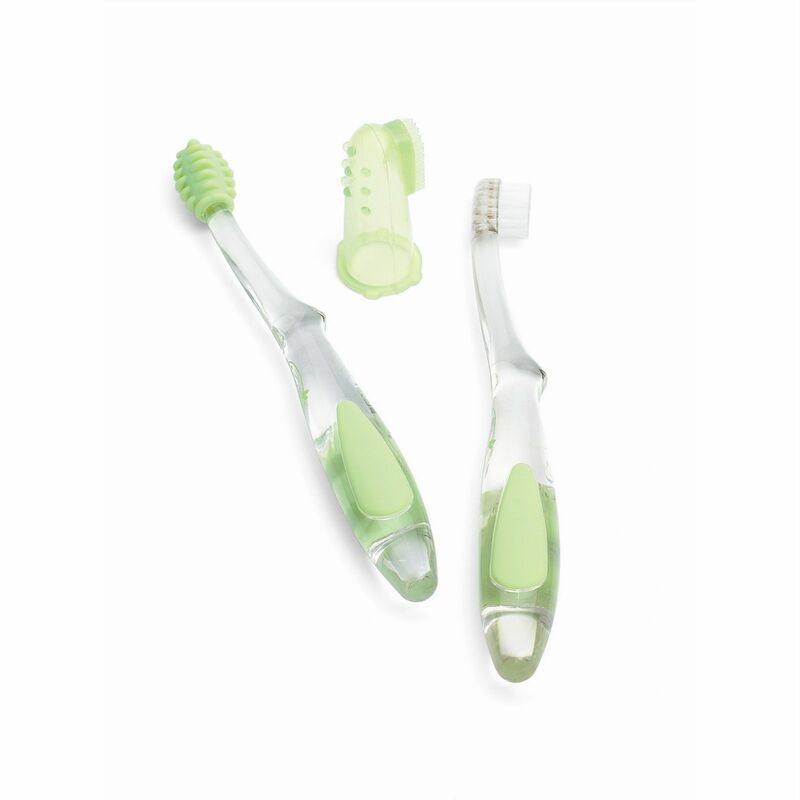 Perfect for teething infants, the gum massager is great at massaging tender gums, whereas the finger toothbrush is designed to fit neatly on adult fingers, making cleaning baby teeth and soothing aching gums a doddle. A toddler toothbrush is also included which is sized perfectly for little mouths.